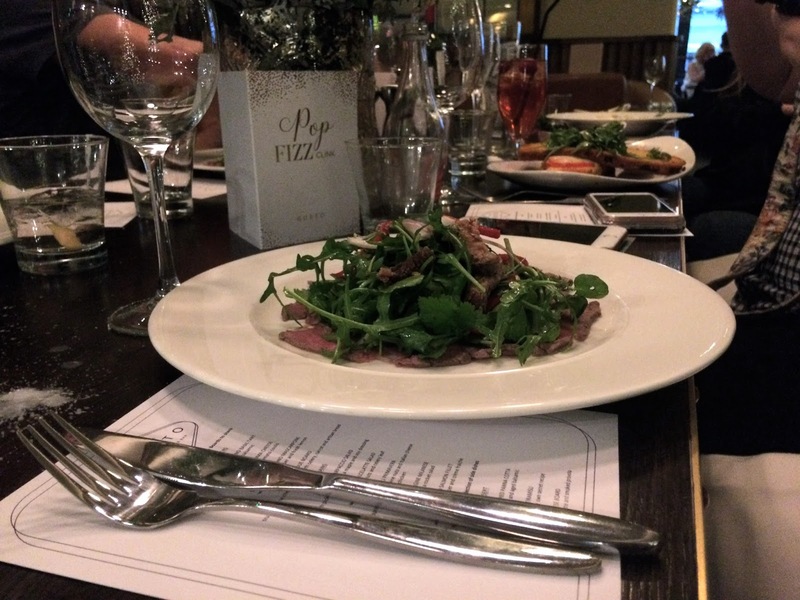 A few bloggers were treated to a cosy catch up recently, over the new Spring menu at Gusto Leeds. I have frequented Gusto a few times since the launch a couple of years back and it's definitely become one of my favourite restaurants in Leeds. After a lovely selection of meats and cheese and a choice of cocktail, I chose the Deep Fried Toma Cheese starter, followed by the Maple Glazed Salmon Fillet. I'm trying to eat far less meat in my diet and the menu offers a lot of variation including plenty of veggie options. Other notable dishes on the menu included the Plum Tomato and Basil Tart as a starter and for the mains, the Beef Fillet Carpaccio Salad and the Baked Aubergine Milanese. The Vanilla Panna Cotta for dessert was incredible, paired with strawberries drizzled in balsamic. 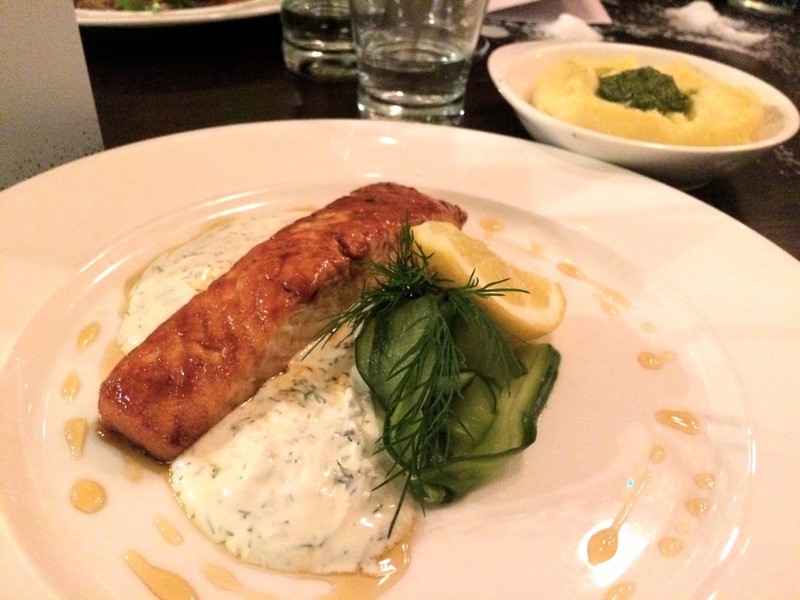 Gusto have restaurants right across the country, so it's easy to find a place no matter where you are in the UK to try their menu for yourself. Their pretty decor also lends itself to a being a great event venue. The Leeds location in particular has a comfortable space for occasions and the staff are always more than happy to cater to specific requests. The Italian brand have a strong reputation for putting the customer first. From the minute you walk in to the second you leave (with an inevitably full stomach) you will receive the utmost service. 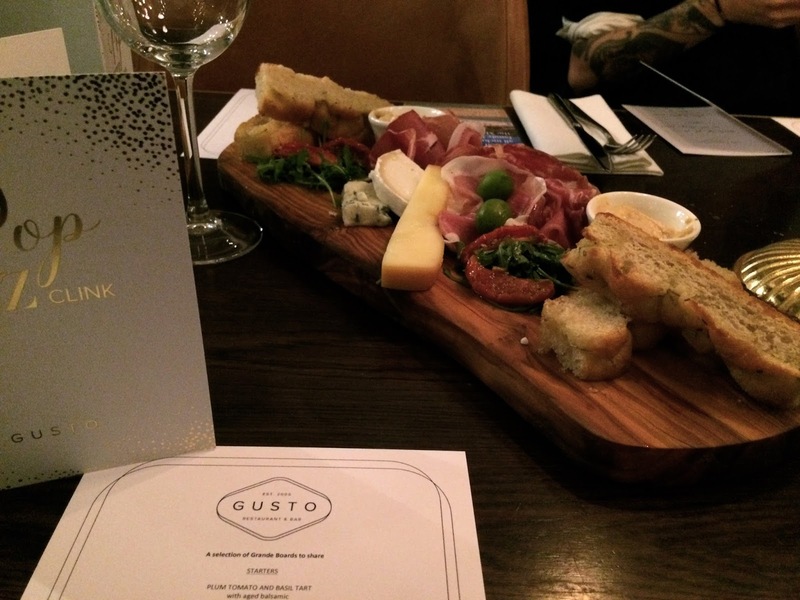 From experience, Gusto is the perfect 'treat the parents or grandparents to a meal' kind of place as well as a 'midday drinking session refuel' pit stop too - it definitely caters for all. Our personal set-up in the main area of the restaurant showed all of the Beauty and the Beast vibes, with atmospheric lighting and candelabras. In other areas of the restaurant, you can see it is bright, spacious and absolutely littered with fairy lights and foliage. No matter what you're after, the space and menu cater for it all - at a pleasantly affordable price! Thanks to the Bethany and the Gusto team for having me, I'm pretty certain I'll be seeing you again soon! Disclaimer: I was kindly invited to try the menu here for free, however, all thoughts are unbiased and my own. Just look at the food and tell me you wouldn't say the same.